PlanetSafe and duct tape come together in the kit that can fix anything! 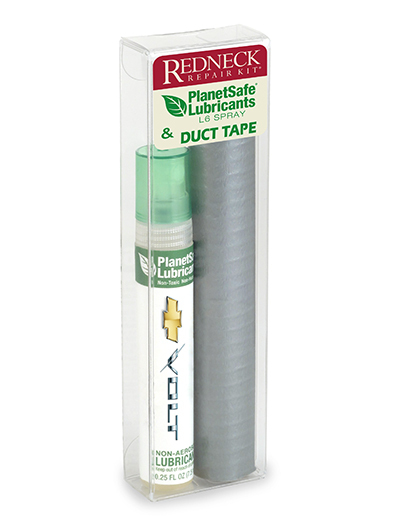 Sure to bring a smile, the Redneck Repair Kit® features the PlanetSafe® L6 Lubricant Spray and a Duct Tape sheet. The original Redneck Repair Kit featured the WD-40® No-Mess Pen® which has been discontinued by WD-40 Company and is no longer available. 250 units/19 lbs per box. PlanetSafe L6 Lubricant Spray Directions: Prime pump & spray on desired area. 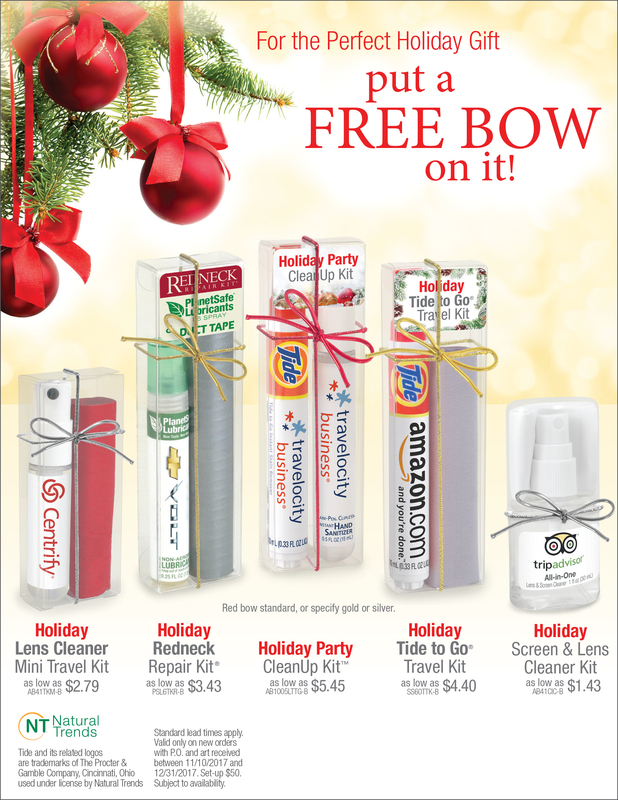 Use to oil & lubricate door hinges, locks, garage doors, bicycles, sewing machines, windows, gates, oven doors, sticky drawers, and just about anything that squeaks.